Why is it that some people bounce back after disappointment or trauma, and others can’t seem to move past it? Some claim we are born with resilience, but psychologists say it is not genetic. They believe that resilience is developed over time through coping mechanisms. It may also be linked with the amount of adult support we received as children that influences how we recover from negative experiences later in life. Women as a group are more resilient than men. Of course, that may be my own biased female opinion however it seems that women have to prove themselves time and again in both their careers and life in general. Many of us have been knocked down and told we are not good enough or that we can’t accomplish something. This takes its toll. There are so many triggers for each of us to surmount. Being ridiculed or bullied, even in adulthood, wears us down. The death of a loved one is the ultimate devastation. While we all handle situations differently, it is true that some are able to bounce back quicker than others. Feeling pain and dealing with disappointment is part of any healing process. But being able to rebound and move forward takes a positive mindset, some training and determination. There are many contributors to stress and, as we all know, it can cause depression, lethargy and disease. It is important to get the proper sleep and eat well. Sleep gives you a fresh prospective to enable you to view problems differently and find solutions. It also helps you to avoid feeling run-down. A proper diet fuels your brain and body to give you energy to solve problems. Breathing techniques and exercise release negativity and trigger endorphins. It is so important to surround yourself with a strong social support system. We need to avoid chronic complainers and people who exhaust us just by being around them. Avoid people who are stuck in a rut because they will probably drain your energy and bring you down. We need to surround ourselves with confident people who help us to grow and look towards the next goal. When things go wrong, we usually blame ourselves. This defeatist attitude leaves us stuck to the floor in negativity. If you find you are self-blaming or targeting blame on others, try a reframing technique. Reframe your thoughts toward what you can do to avoid a repeat of the problem and it will set you on the positive path. Immediately after an incident, write down your feelings rather than just replaying them in your head. This helps you think clearly and make sense of the situation. Take time to allow yourself to feel the things you have written down. Continue with your normal routine as best as possible including exercise, meals, seeing friends and regular bed time. This allows you time to process your emotions but not wallow in them as you will be busy and connected to others. 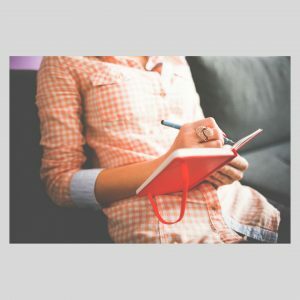 After you have sorted through your feelings, now is the time to start writing down a plan of action to move forward. It could include things like taking some courses to increase your skills to updating your resume. It does not have to be detailed at this point. It is just a first step in opening your mind to future possibilities rather than remaining stuck on the fact that you lost the promotion. Take baby steps and try to work toward at least one item on your list each day. Be flexible with your goals; and reassess them or prioritize them as needed. Each day, write down a few things that you are grateful for in your life. Building gratitude may reduce negative feelings and help bolster a proactive mindset. Finally, if you can’t shake your feelings of hopelessness, talk to a therapist or good friend who can help you regain your perspective. Being a resilient person does not mean that you have to handle everything by yourself. Following these strategies and exercises can help you develop your coping mechanisms over time and enable you to build up your resilience. Whether it is a minor difficulty or a major life crisis, the same techniques will help you through. Learn to be your strongest self and prepare yourself for success, regardless of the crisis you are facing. This is great, right about now I really need this article,thank you. We are very glad that this post resonated with you!